Walker, Harold Blake. 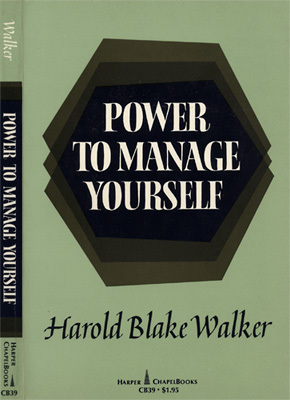 Power to Manage Yourself. Harper ChapelBooks, CB39. New York: Harper & Row, . x, 237 p., 21 cm. Paperback cover design.